With generational campaigns, the chronicle is less about individual characters, and more about the great legend that is one of the Houses. Wars and trials by combat meet on equal ground with intrigues to establish alliances – especially marriages – between the Houses, and most of the story is told through “flashpoints.” These are important moments in which the House’s legacy is imperiled, whether because it is endangered in some way, or because it has an opportunity to make itself great (although at what cost?). This sort of campaign is by default a long-running one, but it can (and should) be broken up into different “moments” of that House’s existence. These moments form mini-chronicles, beginning in a moment where things are mostly at the status quo, but this peace is quickly disrupted by some event: the death of an important member of the House, an overture of marriage, the introduction of a new retainer of importance or ally of notoriety, the first notes of conflict with another House. Depending on how quickly the Narrator wishes to advance the timeline, the best length for these flashpoints are between three and twelve sessions – the more you allot to this part of the history, the longer you spend with those individual characters. You should take as long as you need to “fill out” this narrative, but the longer it goes on, the more influential to the House’s overall history it should be. Advance Time for Characters. With each “jump,” discuss with the player how much time has passed for that player character. Advance character ages and age categories if necessary, adding experience points to bring them up to the minimums for that age, and reduce Abilities or inflict Flaws as required for movement through those age categories. What has happened during that time? What relationships have been established, marriages made, children born, loved ones die? A player may even decide that his character dies at some point in the interim, to make space for a new character they wish to play. The Narrator will have to do the same for Narrator Characters, albeit to a lesser degree. Advance Time for Locations. What else has happened during that time, not just to people, but to places as well. The Narrator should plan some changes to the House’s Resources to reflect the process of time. Introduce New Future Characters. New characters appear in the hands of players. These might be characters that already existed in the setting, but didn’t get much attention. Perhaps a squire from the previous flashpoint has earned his spurs and is a full knight now, perhaps even with a squire of his own. Alternately, they may be entirely new – a new retainer of the House, or a new spouse or child to another character. Plot Threads. Long-standing plot threads should be drawn out to the maximum storytelling fun they are worth, and then resolved to make room for new ones. Wrap up old plots, introduce new ones, and advance those that just began. What follows is an example of the sort of planning that might go into a generational chronicle. These entries are described in the most general of terms. If used, the Narrator should take the time to put to use the events of the Kingdom in which the PCs’ House is located. I. The Faith Militant: 41 AC. This flashpoint is set a mere forty years after the Targaryens took Westeros. The home House bent the knee, like all the others did, but it likely includes some older members who remember a time before dragons, when they were lords of Seven Kingdoms. The Faith Militant has begun rising up, protesting the wicked ways of the Targaryens as counter to the tenets of the Seven. In the home House’s own domain, the septons have been speaking out against those who would support the perverse dragons, and are even raising troops to overthrow those wicked nobles! II. Uprising’s End: 48 AC. King Maegor is embattled with attempts against his throne by his family, and his efforts against the Faith Militant have turned brutal. 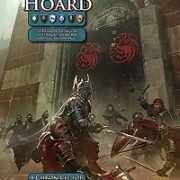 The home House finds their resources and troops in demand by the crown, when suddenly Maegor is gone and Prince Jaehaerys is King. The Faith Militant lays down its arms, and King Jaehaerys makes a truce with them. In the home House’s domain, with their troops far away, the player characters must likely come to peace accords with the remnants of the Faith Militant in their domain – or put them down if they cannot. III. A Generation of Peace: 85 AC. It is almost forty years since the last flashpoint, and the home House is experiencing a time of peace and prosperity. This would be a short flashpoint, mostly to focus on the home Domain, advance characters and introduce new ones. IV. The Rise of the Three Daughters: 96 AC. Eleven years later, House Targaryen calls on the lords of Westeros – including the home House – to send their forces against the unified Triarchy, as the new alliance of Myr, Lys, and Tyrosh was called. This flashpoint is split between the embattled military forces of the House away at war, and those who are left behind struggling to make do with a bare minimum of defensive troops. V. The Great Council: 101 AC. Five years later, all the Houses of Westeros are called to Harrenhal for an unprecedented event: a Great Council, called by the Targaryens when there are nine claimants to the throne, none with claims superior to one another, and the very real possibility of civil war in Westeros. The extensive intrigues and politicking here should range from the long-reaching (does the home House support the same candidates as their liege lords?) to the very personal (such a gathering being the perfect opportunity for rival Houses to show up the home House, or for new rivalries and alliances to form). VI. The Red Spring: 120 AC. 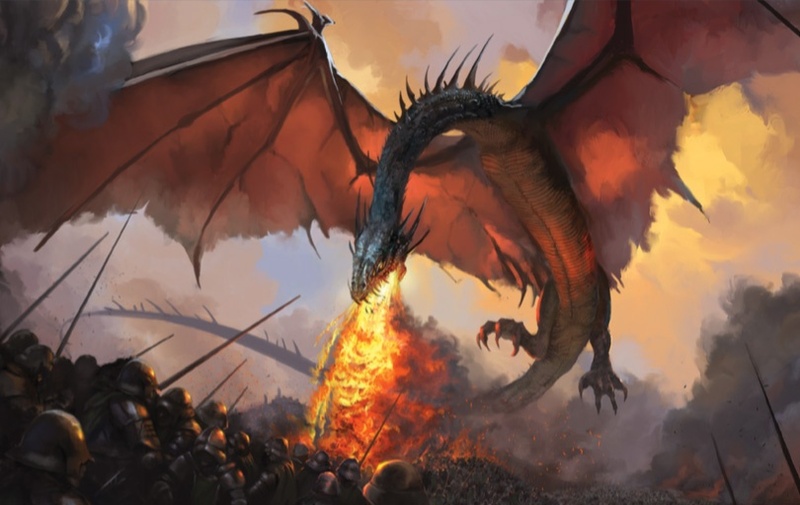 Four great tragedies mar this year for House Targearyen, and where the dragons go, others follow. Misfortune strikes the home House and its Domain, and there seems to be great unrest in the realm where the home House is based. Perhaps an unfortunate or suspicious succession with their direct liege lords, or rivals seek to take advantage of bad harvests or sudden drops in trade revenues. VII. The Dance of the Dragons: 130 AC. It is ten years later, and the Seven Kingdoms are on the verge of civil war, as the Targaryen succession is once again cast in question. Factions in the Great Houses develop, and with their focus elsewhere, rivals seek to take advantage of the chaos to suit their own ends – or to get their own vengeance.